Lilongwe (Malawi), Jan 8 - India has extended a line of credit of $50 million to the small land-locked African nation of Malawi which has invited Indian companies for investment in hydropower, farmlands and mining including uranium. As the first Indian leader to visit Malawi, a nation of 13.5 million sandwiched between Zambia and Mozambique, Vice President Mohammed Hamid Ansari announced Thursday evening the soft loans and grants at a state banquet hosted by Malawian President Bingu Wa Mutharika. "As part of the commitments made by India during the India Africa Forum Summit (in 2008), we would also like to extend a Line of Credit of $50 million to support the development goals of Malawi," Ansari said at the state banquet at a five-star hotel. He also announced a grant of $4 million to support Malawi's "development in agriculture, health and education sectors". Besides, Ansari also extended a grant of $1 million as emergency relief for recent earthquake victims in the country. Both countries are also likely to sign three agreements in agriculture, small and medium enterprises and foreign office consultations, after the formal talks to be held Friday morning. The Malawian government was keen to invite Indian companies in the areas of development of hydropower generation. "We have invited India to look at several areas in the area of energy, especially in hydropower capacity," said Mutharika, who was recently re-elected to second term as president. He estimated that Malawi had a potential to generate 1500 megawatt of electricity through hydropower. Investments in hydro power had been raised by the Malawian side during discussions between Ansari and Mutharika, who met for 40 minutes at the State House, before the official banquet. "They are keen that we come for projects either with public private partnership or on BOT (Build Operate Transfer) basis," said Minister of State for Labour and Employment Harish Rawat, who is accompanying the vice president on the tri-nation trip. In addition, Mutharika also mentioned that his country had uranium deposits. "We have potential for wind and solar energy, as well as nuclear energy now with our uranium sites," he said. Malawi has recently started to produce uranium at a mine owned by an Australian company, with the first exports taking place in mid-Oct to Canada. The country was also interested in Indian companies to invest in other mineral resources like gold, bauxite and other mineral resources. Agriculture was another area where Malawi was looking at India with hopeful eyes for shoring up its food security. Even in this small nation, there is a already a substantial community of 7000 Indians, most of them had comes as traders from Gujarat. In recent years, China has come into Malawi in a big way, after the southern African country became one of the last nations to derecognize Taiwan and start diplomatic relations with the Asian giant. In return, the Chinese government is building a new parliament building, hospital, five-star hotel and roads in the country. Ansari in his speech had made a pointed remark that both India and Malawi were successful democracies. "It is necessary for functioning democracies and countries with similar worldviews to interact frequently," he said. India does not have a mission in Malawi with the high commission in Zambia concurrently accredited here. 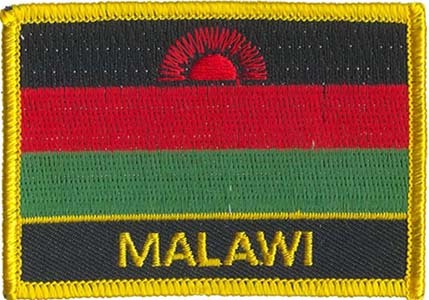 With Malawi reopening its embassy in New Delhi in 2007, India is now considering the viability of opening its re-mission in Lilongwe that had been closed down in 1993.